Triple LP version. 140 gram vinyl; Gatefold sleeve with liner notes and pictures. Following Analog Africa founder Samy Ben Redjeb's dangerous trip to Mogadishu in November of 2016, the label presents Dur Dur of Somalia: Volume 1, Volume 2 & Previously Unreleased Tracks. 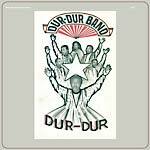 Dur-Dur, a young band from the '80s, climaxed as a band in April of 1987 with the release of Volume 2, their second album. The secrets to Dur-Dur's rapid success is inextricably linked to the vision of Isse Dahir, founder and keyboard player of the band. Isse's plan was to locate some of the most forward-thinking musicians of Mogadishu's buzzing scene and lure them into Dur-Dur. Ujeeri, the band's mercurial bass player was recruited from Somali jazz and drummer extraordinaire Handal previously played in Bakaka Band. Isse also added his two younger brothers to the line-up: Abukar Dahir Qassin was brought in to play lead guitar, and Ahmed Dahir Qassin was hired as a permanent sound engineer. On their first two albums, Volume 1 and Volume 2, three different singers traded lead-vocal duties back and forth. Shimaali, formerly of Bakaka Band, handled the Dhaanto songs, a Somalian rhythm from the northern part of the country that bears a striking resemblance to reggae; Sahra Dawo, a young female singer, had been recruited from Somalia's national orchestra, the Waaberi Band. Their third singer, the legendary Baastow, who had also been a vocalist with the Waaberi Band, and had been brought into Dur-Dur due to his deep knowledge of traditional Somali music, particularly Saar, a type of music intended to summon the spirits during religious rituals. From the very beginning, Dur-Dur's doctrine was the fusion of traditional Somali music with whatever rhythms would make people dance: funk, reggae, soul, disco, and new wave were mixed effortlessly with Banaadiri beats, Dhaanto, and spiritual Saar music. The concoction was explosive. It initially seemed that Dur-Dur's music had only been preserved as a series of murky tape dubs and YouTube videos, but after Samy arrived in Mogadishu he eventually got to the heart of Mogadishu's tape-copying network and ended up finding some of the band's fabled master tapes, long thought to have disappeared. This set reissues the band's first two albums -- the first installment in a three-part series dedicated to Dur-Dur Band -- representing the first fruit of Analog Africa's long labors to bring this extraordinary music to the wider world. Remastered from the best available audio sources. Includes two previously unreleased tracks; Accompanied by extensive liner notes, featuring interviews with original band members. Following Analog Africa founder Samy Ben Redjeb's dangerous trip to Mogadishu in November of 2016, the label presents Dur Dur of Somalia: Volume 1, Volume 2 & Previously Unreleased Tracks. Dur-Dur, a young band from the '80s, climaxed as a band in April of 1987 with the release of Volume 2, their second album. The secrets to Dur-Dur's rapid success is inextricably linked to the vision of Isse Dahir, founder and keyboard player of the band. Isse's plan was to locate some of the most forward-thinking musicians of Mogadishu's buzzing scene and lure them into Dur-Dur. Ujeeri, the band's mercurial bass player was recruited from Somali jazz and drummer extraordinaire Handal previously played in Bakaka Band. Isse also added his two younger brothers to the line-up: Abukar Dahir Qassin was brought in to play lead guitar, and Ahmed Dahir Qassin was hired as a permanent sound engineer. On their first two albums, Volume 1 and Volume 2, three different singers traded lead-vocal duties back and forth. Shimaali, formerly of Bakaka Band, handled the Dhaanto songs, a Somalian rhythm from the northern part of the country that bears a striking resemblance to reggae; Sahra Dawo, a young female singer, had been recruited from Somalia's national orchestra, the Waaberi Band. Their third singer, the legendary Baastow, who had also been a vocalist with the Waaberi Band, and had been brought into Dur-Dur due to his deep knowledge of traditional Somali music, particularly Saar, a type of music intended to summon the spirits during religious rituals. From the very beginning, Dur-Dur's doctrine was the fusion of traditional Somali music with whatever rhythms would make people dance: funk, reggae, soul, disco, and new wave were mixed effortlessly with Banaadiri beats, Dhaanto, and spiritual Saar music. The concoction was explosive. It initially seemed that Dur-Dur's music had only been preserved as a series of murky tape dubs and YouTube videos, but after Samy arrived in Mogadishu he eventually got to the heart of Mogadishu's tape-copying network and ended up finding some of the band's fabled master tapes, long thought to have disappeared. This set reissues the band's first two albums -- the first installment in a three-part series dedicated to Dur-Dur Band -- representing the first fruit of Analog Africa's long labors to bring this extraordinary music to the wider world. Remastered from the best available audio sources. Includes two previously unreleased tracks; Accompanied by extensive liner notes, featuring interviews with original band members. Double-CD version comes with 12-page booklet. Double LP version with download code. "Dur-Dur Band emerged in the 1980s, during a time when Somalia's contribution to the creative culture in the Horn of Africa was visible and abundant. Seeking inspiration outside the impressive array of Somali traditional music that was encouraged at the time, everyone from Michael Jackson and Phil Collins to Bob Marley and Santana were fair game. 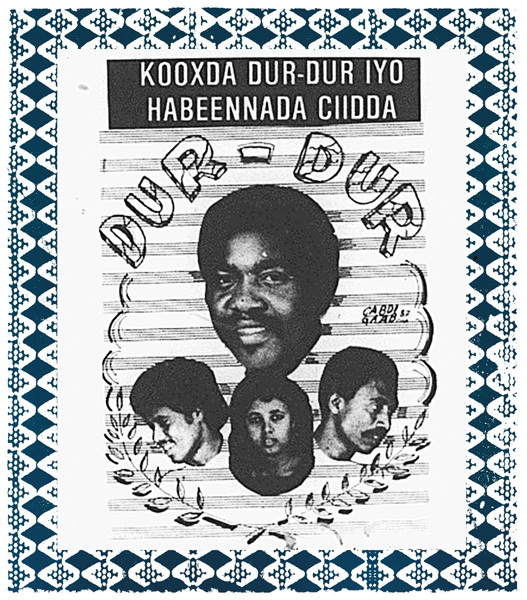 This recording, which was remastered from a cassette copy source, is a document of Dur-Dur Band after establishing itself as one of the most popular bands in Mogadishu. The challenge of locating a complete long-player from this era is evidenced by the fidelity of this recording. However, the complex, soulful music penetrates the hiss. In a country that has been disrupted by civil war, heated clan divisions and security concerns, music and the arts has suffered from stagnation in recent years. 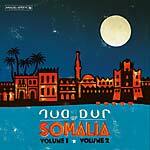 Incidentally, more than ten years after Volume 5 (1987) was recorded at Radio Mogadishu, the state-run broadcaster was the only station in Somalia to resist the ban on music briefly enacted by Al-Shabab. Dur-Dur Band is a powerful and illustrative lens through which to appreciate the incredible sounds in Somalia before the country's stability took a turn."